Share your message with cattle producers by advertising through print, television and digital media. Let Angus Media manage your next project to ensure your marketing message is spot on, every time. Considerations for passing the farm or ranch on to the next generation. Research PAP EPD Launched by Angus Genetics Inc.
As an entity of the member-driven American Angus Association, Angus Media is your indispensable partner in quality beef production. Our Mission : "To increase demand for registered Angus cattle by being an indispensable partner to the beef industry, providing leading-edge information and marketing strategies through a unique range of print and digital platforms." When you pick up an Angus Journal magazine or watch The Angus Report on RFD-TV, you have instant access to the industry's most relevant stories and feature articles to improve your operation, in addition to targeted advertising and sale books that expand the reach of Angus genetics. Our talented group of professionals understands the cattle business and is committed to producing valuable content that matches the performance of your cow herd. 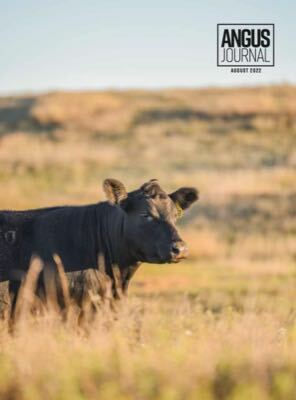 Angus Journal | With more than 13,000 paid subscribers, the Angus Journal is the official publication of the American Angus Association, and the primary source of the latest Angus sale listings and offerings. Angus Beef Bulletin | The Angus Beef Bulletin is a complimentary publication distributed to nearly 65,000 commercial cattlemen nationwide who have recently purchased a registered Angus bull. Angus History & Heritage | The Angus breed's history in America is a cherished story for generations of farm and ranch families. We've preserved a few of our favorite photos and videos from the business breed's past 130 years. What’s happening this week in cattle country?